Bonjean House with 390 points won the overall athletic championship at the annual inter-house sports meet of St. Joseph’s College, Colombo 10 which was held at college grounds recently. Marque House with 347 points, Melizen, House with 292 points and Condert House with 247 points were placed second, third and fourth respectively. Under 12 – Shanelka Cooray (Melizen), Under 13 – Jayson Rodrigo (Bonjean), Under 14 – Ivano White (Marque), Under 15 – Dineth Hirusha (Meliyzen), Under 16 – Naveen Marasinghe (Melizen), Under 17 – Pasindu Malshan (Condert). 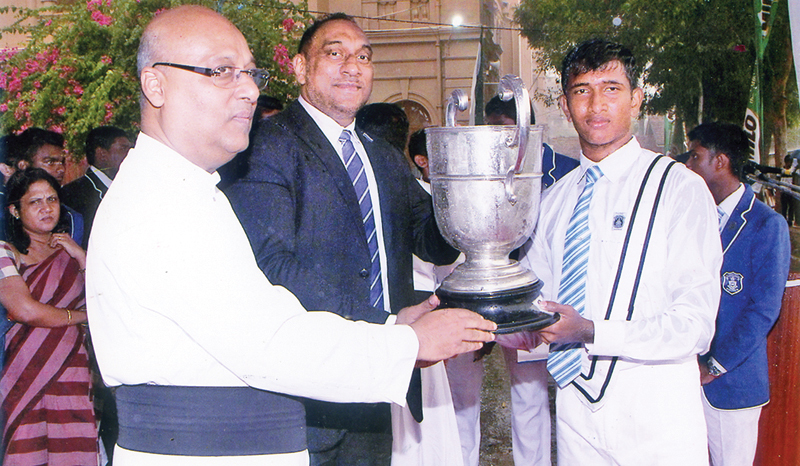 Under 18 – Dayan Darshana (Bonjean), Sanuth Perera (Marque), Lathaniel Bahar (Melizen). Under 20 – Sheshan Kariyawasam (Marque), Shaveen Rumeshka (Bonjean).